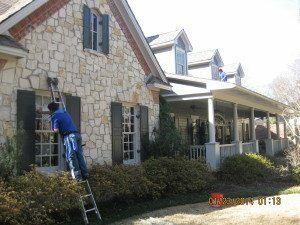 If you have a home in the Dallas, Fort Worth metroplex, you’ll want to have your windows cleaned as a regular part of your maintenance routine. That’s why you should hire Allshine Window & Gutter Cleaning for professional window cleaning. Get in touch with us to arrange services today, by calling (817) 946-5360 or 972-809-6162, or by filling out the contact form on our site. Cleaning your windows not only makes your house look good it can also help extend the life of your windows, saving you money in the long run. Luckily, no matter where your home is located in the Dallas, Fort Worth metroplex, there’s an Allshine Window & Gutter cleaning location that can serve you. 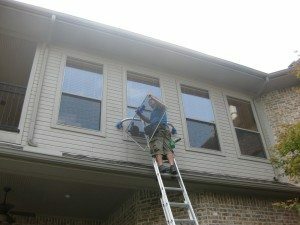 So, Why Should I Have My Home’s Windows Cleaned? If you’re wondering if you should have your home’s windows washed regularly, it’s important to understand the benefits of a professional window cleaning. Having your windows washed by Allshine Window & Gutter Cleaning makes your home appear fresher and newer, but it can also do more than just improve your house’s overall aesthetic. Studies have also shown that window cleaning can boost your home’s curb appeal and increase the value of your house. In addition, cleaning your home’s windows can help extend their life and save you money on repairs and replacements. It can also help determine the cause of other problems happening around your home – including insect infestations, fungus and more. 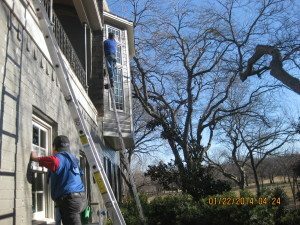 If you live in the Dallas, Fort Worth metroplex and want your windows cleaned, you can rely on our company to rid your windows of any mess – no matter what caused it. Excellent Customer Service: We are dedicated to outstanding customer service. Not only do we respond to all of your calls in a quick and efficient manner we also can provide accurate estimates before we start working. Quality Services and Products: Allshine uses high-quality products that won’t damage your home or the environment. Our services are also dependable and high-quality, so you can ensure your windows are sparkling when we leave. Affordability: We offer reasonable, competitive prices, so you can afford the services your home so desperately needs. Safety and Insurance: Our service providers are insured, and we strive to maintain the safest possible practices when cleaning your home. Happiness and Guarantees: If you’re not happy with our work, we’ll come back and review the work and fix it, free of charge to you. If you want to have your home’s windows cleaned, or you have questions about the services that we provide, reach out to us. We can set up window cleaning services for you, or let you know about pricing, availability, available services, and more. You can reach us via phone at 817-946-5360 or 972-815-5783 or via email using this contact form on our site.